On Friday night my watercolor painting will be part of a group art show to benefit Arts Are Elementary, a non-profit organization which brings artists, writers and performers into Brunswick elementary schools to work with students. Local restaurants are donating tasty hors d'oeuvres. Come join us! At this time of year if I'm not online, I'm probably out on location at work. I usually complete my paintings in one afternoon, racing the tide and waiting for the sun to reveal the shadows. 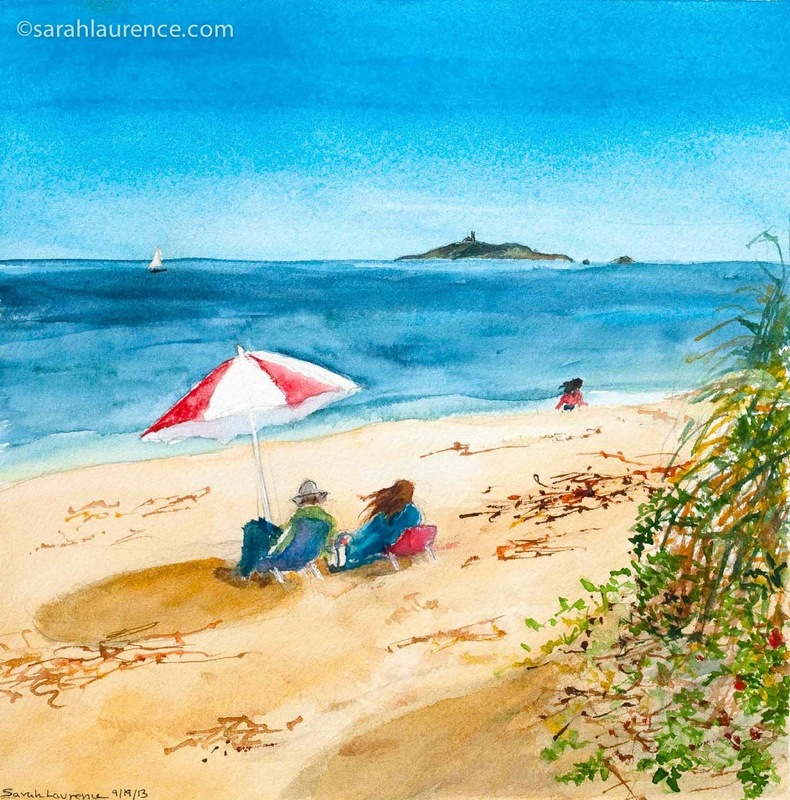 Watercolor captures the flow of the ocean, and it's easier than oil paint to take on location. My studio is a rocky cliff, a secluded beach or a peaceful lakeshore. I painted Reid State at this time last year, feeling wistful about these final beach days. I might be the walker or I could be reading a book, painting or enjoying the spectacular view. 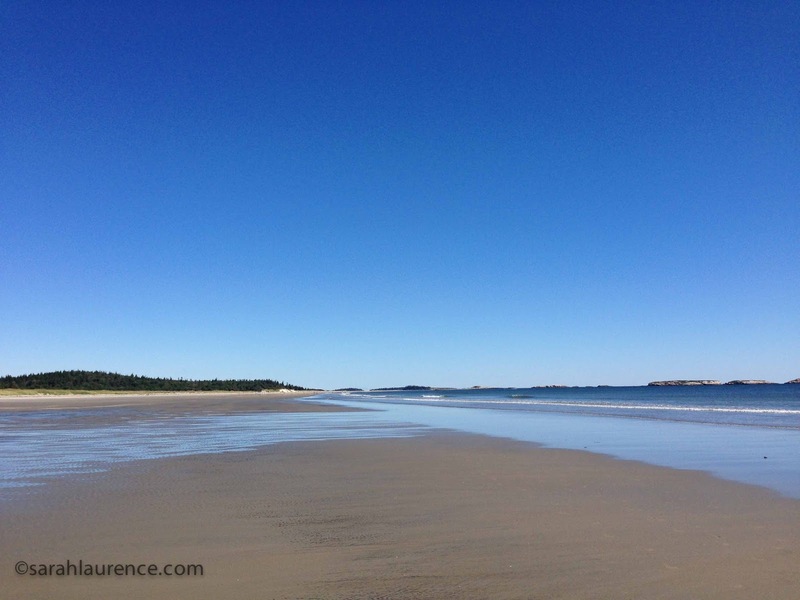 That's Seguin Island on the horizon as seen from One Mile Beach at Reid State Park, Georgetown, Maine. It's a half hour drive from my house. Blog Watch: BookLust is hosting #Diversiverse, a link list to reviews of books by authors of color. 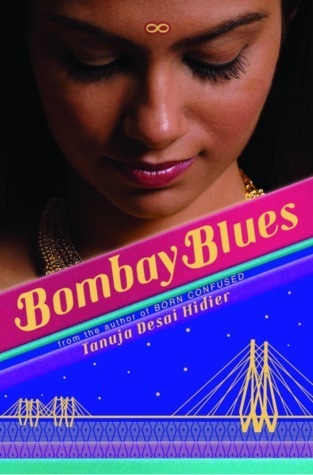 My review of Born Confused by Tanuja Desai Hidier was posted last week. 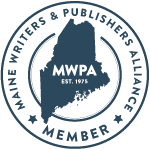 Reviews must be posted during the last two weeks of September so it's not too late to join. Right now I'm reading a recommendation, Brown Girl Dreaming by Jacqueline Woodson. This marvelous memoir in free verse is on the National Book Award long list too. Tanuja Desai Hidier's Born Confused mixes typical teenaged angst with multiculturalism to create an original novel that both captures and transcends ethnic identity. As the book opens, Dimple Lala appears to be well assimilated in New Jersey. She shops at the mall for trendy clothes, has a blond best friend and dates white boys. On her 17th birthday, Dimple receives a fake ID from her best friend, Gwyn, and returns home drunk. Dimple's disappointed parents set her up with a "suitable boy," the son of their best friend from India. When Karsh Kapoor arrives in pleated khakis, doting on his mom and kissing up to her immigrant parents, Dimple rebels. Meanwhile Caucasian Gwyn tries to claim Dimple's cultural heritage as her own, dressing in traditional Indian clothes and flirting with Karsh. When the suitable boy is revealed as a less suitable DJ, Dimple has second thoughts. She focuses her camera on her heritage and discovers that her family and the Kapoors are not as traditional as she had assumed. The premise of this young adult novel reminded me of two of my favorite books for adults. A Suitable Boy by Vikram Seth (1993) follows a Hindu family's quest for a husband for their daughter Lata during the tumultuous time of post-partition India. I quit my book group to read Vikram Seth's 1,474 page historical novel. Another favorite, Jhumpa Lahiri's The Namesake follows Gogol Ganguli from his teen years to early adulthood as he comes to terms with his Indian American identity. I wish Gogol and Dimple, both born in the USA but in different decades, could had met in high school. Interestingly, The Namesake and Born Confused were published the same year in the USA: 2003, although Born Confused was first published in the UK in 2002. Born Confused is a debut by a young author so it's not as polished as these two literary masterpieces, but there are thematic similarities, and its humor and pop culture references make it better suited to a teen audience. Nonetheless, adults would appreciate the multi-aged characters, philosophical questions and cultural depth. Dimple explains why she use photography to communicate with her grandfather in India: "It was so much easier to make the world black and white than brown." In a genuine teen voice, she expresses her confusion: "I guess I'm just not Indian enough for the Indians or American enough for the Americans, depending on who's looking." I enjoyed her quirky metaphors: "A warm feeling filled me like tea." Dimple was a delight, and the secondary characters were well developed too. Karsh was an appealing love interest, although it seemed odd that no one objected to him being a college student while Dimple is not yet a senior in high school. His passion for remixed Indian-fusion music was pitch perfect (the author is also a singer/songwriter.) I loved how photography was used in the narrative to show Dimple's inner character. Her older cousin, parents and grandfather were well rendered too. It was wonderful to see a book with charismatic LBGTQ characters, who weren't there to play victims. The flattest character was the white best friend, and even so, Gwyn has more dimensions than are at first apparent. My only (mild) criticism of Born Confused is the opening pace/length, given the teen audience. The book starts with backstory about Dimple's family, her best friend and disappointing boyfriends, and the narrative doesn't really take off until Karsh is introduced about a third of the way through the 515 page book. Then the book was hard to put down. I read the galley on my Kindle concurrently with a new release book from one of my favorite authors, and I put aside Haruki Murakami's brilliant novel without regret to finish Born Confused. I was hoping to read both Born Confused and its newly released sequel, Bombay Blues (560 pages), for this post, but I only had time to read the first book. After a break to finish other books, I plan to read Bombay Blues. I first heard of Born Confused in 2006. The Harvard Independent (I was once a staff photographer) revealed that teen author Kaavya Viswanathan had plagiarized Tanuja Desai Hidier's novel (as well as books by other YA authors). The story was in The New York Times and on major networks with denials of intentional wrong doing. I'm still mad on Tanuja's behalf, all the more so after reading Born Confused; it's a ground-breaking novel that is still relevant a decade after its publication. I'd strongly recommend Born Confused to readers aged 14 and up, who enjoy literary young adult fiction and multicultural books. There is underaged drinking and drug use but not without consequences. This book would crossover well to an adult audience. Teachers, Born Confused would pair very well with The Namesake in a class about multiculturalism, immigration and assimilation. Seawall Beach at Morse Mountain, my favorite time of year. Reviewer's Disclosure: this post is part of #Diversiverse: a challenge for bloggers to review a book by an author of color. This wasn't much of a challenge for me since I already read and review diverse books. I had requested a free galley of Born Confused from Scholastic Press before I had heard of #Diversiverse. I support efforts to broaden people's horizons by sharing books by diverse authors and/or with diverse protagonists. Over 100 bloggers have joined #Diversiverse. Thank you, Aarti at BookLust, for hosting! Despite living three years in England and marrying a Brit, I'm not quite bilingual. British has a different "colour" from American English. I tried to capture this amusing linguistic confusion in a young adult novel about an American teenager on sabbatical in England (on submission to publishers). So I was as pleased as punch to find How to Speak Brit by Christopher J. Moore. The author is an Englishman with an MSc in Linguistics; Moore appreciates the history, as well as the humor, inherent in British expressions. Like the Union Jack, which is an amalgamation of the flags from England, Wales, Scotland and Northern Ireland, the British language is highly regionalized. Word choice and accent tell other Brits the hometown, the education and the class of the speaker. Moore's book highlights the linguistic diversity in Old Blighty, but at 120 pages, it is not an encyclopedia, although there is a helpful index in the back. How to Speak Brit is the humorous type of book a Brit would expect to find in the loo. Moore claims that the British slang word for bathroom/toilet came from the Battle of Waterloo. The Oxford Dictionary lists several other derivations for loo. My favorite one (not included in Moore's book) dates to medieval times. Servants would shout, "Regardez l'eau!" (French for "Look out for the water!") before dumping a chamber pot out the window into the road. I used this more colorful derivation in my novel and added a warning that a British "bathroom" may not necessarily contain a toilet. Moore acknowledges that there are multiple origin stories behind British expressions, and How to Speak Brit is not meant to be an academic book. He organizes the phrases loosely around themes such as food (the Ploughman's Lunch) and etiquette (Fair Play). I would recommend the hardcover version over the ebook to appreciate the blue woodblock-print-style illustrations. Since there is no narrative arc, the book is best consumed in small chunks. Personally, I prefer narrative nonfiction, like Bill Bryson's books, which tells a story while delivering facts, but Moore's book succeeds on its own terms. How to Speak Brit would make a jolly good visiting gift for an Anglophile, with the aim to amuse without risking offense. Moore avoids the more raunchy expressions that pepper the British vocabulary. Most of Cockney rhyming slang was designed to disguise swearwords and was quite useful for me in a novel marketed to a teenaged audience. Moore skips quickly past Cockney rhyming slang to focus more on quaint expressions with historical origins. His book might be helpful to a foreigner moving to a posh neighborhood in the UK but not to a visitor hoping to pick up current street slang. A linguist or a word pundit would enjoy it the more. I would recommend How to Speak Brit to Downton Abbey and P.G. Wodehouse fans. The American edition uses Yank spelling and explanations. Chin up, chaps; there's no need to be flummoxed any longer. 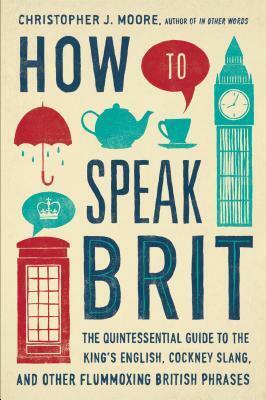 How to Speak Brit will be released on September 11, 2014 in both the USA and the UK. Reviewer's Disclaimer: Gotham Books, Penguin USA gave me a digital galley and a print advance copy upon my request. I did not receive any other compensation for my review.